November 14 each year is the World Diabetes Day. It was first introduced in 1991 by the International Diabetes Federation and the World Health Organization to increase awareness of the alarming rise of diabetes around the world. From 2009 to 2013, the theme has been Diabetes Education and Prevention. According to UN Secretary-General Ban Ki-moon, nearly 350 million people worldwide live with diabetes. By 2035, ten percent of world's population, or 592 million people, will have diabetes. Researchers found that adults at high risk for type 2 diabetes could reduce their risk in half by losing 5 to 7% of body weight and exercising 3 to 5 times a week for 150 minutes. 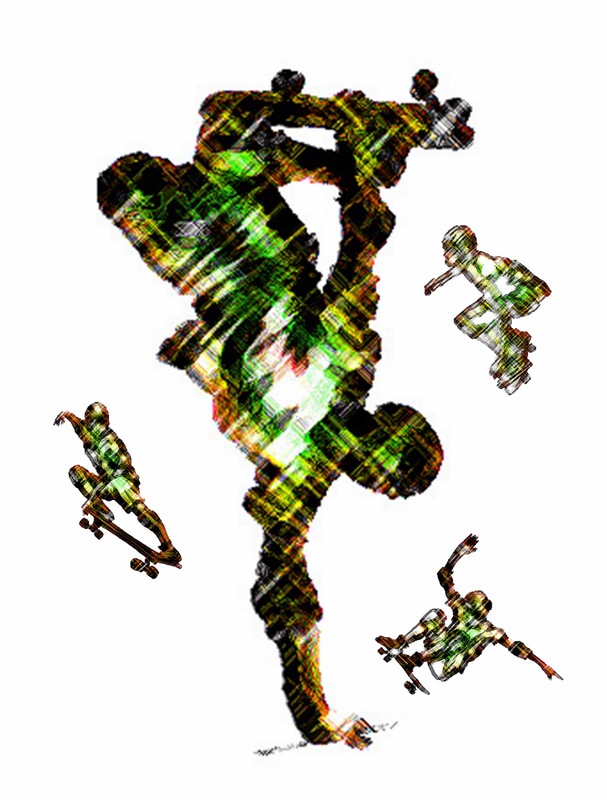 Postcard US-2334513 to France shows skateboarding activities. I have been looking forward to a new series of stamps “Let’s Move” advocating physical activities that would make a good match for this postcard. 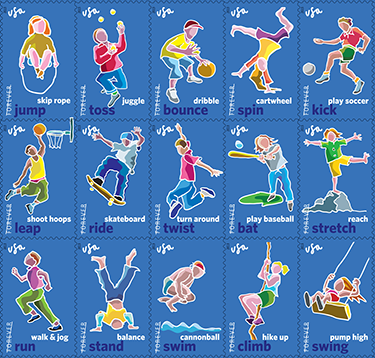 However, USPS has placed the "Just Move" stamps on hold and may destroy them due to safety concerns from the President’s Council on Fitness, Sports and Nutrition. While I considered those concerns well intentional, I also feel it's kind of over-reacted. First of all, those stamps are artist illustrations, not instructional graphs. Second, USPS should have consulted the President’s Council on Fitness, Sports and Nutrition before approving and printing the stamps. Now that the stamps has already been printed and in storage, it would be a waste to destroy the stamps especially when USPS is losing 4 billions this year. It will be a missing opportunity if the stamps are not brought back, with or without correction. In fact, the risks exposed by the stamps could be mitigated by educational campaigns accompanying the stamp issues.